If your bite is off, it can affect the way your teeth look and feel, making it harder to keep your teeth clean. It can also reduce your self-confidence. At Omnia Dental Care in Chino Hills, California, Dr. Rupport Priyawat and Dr. Maria Kim provide orthodontic services, including braces and Invisalign®, to straighten your smile and improve your oral health in the long run. 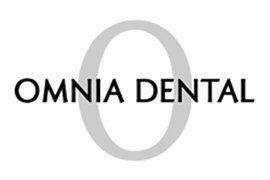 To learn more about the teeth straightening services offered at Omnia Dental Care, call the office to schedule an appointment today. Orthodontic appliances such as braces and Invisalign correct problems like crooked or crowded teeth and misaligned bites, and can prevent related tooth decay, gum disease, headaches, earaches, and speaking or chewing problems. Braces and Invisalign may also help correct jaw position and disorders. They also offer the aesthetic benefit of a straighter smile that helps you feel more self-assured. Invisalign is a set of clear aligners that you wear over your teeth. The aligners gently shift your teeth into a more desirable position over the course of several months. You wear the trays 20-22 hours every day, changing to a new tray every week or two, according to the treatment plan devised by Dr. Priyawat or Dr. Kim. The trays are nearly invisible and customized for your teeth. You can remove them to eat, play sports, and brush and floss your teeth. Why would I choose braces? Conventional braces are effective in correcting many orthodontic issues, some of which won’t respond to Invisalign. You don’t have to worry about swapping them out or forgetting to wear them, as they’re cemented to your teeth. Both children and adults can wear braces to correct their teeth. Braces do require some precautions when it comes to diet and hygiene. Dr. Priyawat and Dr. Kim can help you understand what types of foods to avoid while wearing braces, including chewy and crunchy items, such as taffy or popcorn kernels. You must also take care to clean the area surrounding your braces to prevent plaque from forming on your teeth around the brackets. Do Invisalign and braces hurt? Both of these orthodontic treatments take some adjustment time. Each time you switch to a new set of Invisalign trays or have your braces tightened by the team at Omnia Dental Care, you may have some soreness in your teeth for a few days. The wires and brackets involved with braces do sometimes rub against your mouth’s soft tissue. You can apply wax to reduce the irritation if needed, but over time, you become accustomed to the sensations. To find out if Invisalign or braces are right for you, call Omnia Dental Care in Chino Hills, California, to book an appointment today.